Victims Talia Newfield (left) and Adrienne Garrido. DEDHAM — A woman charged in connection with a February car crash that killed two Needham High School students told police she was not wearing her glasses at the time. Before driving over one of the victims, prosecutors said, the woman mistook her for a bag of trash. 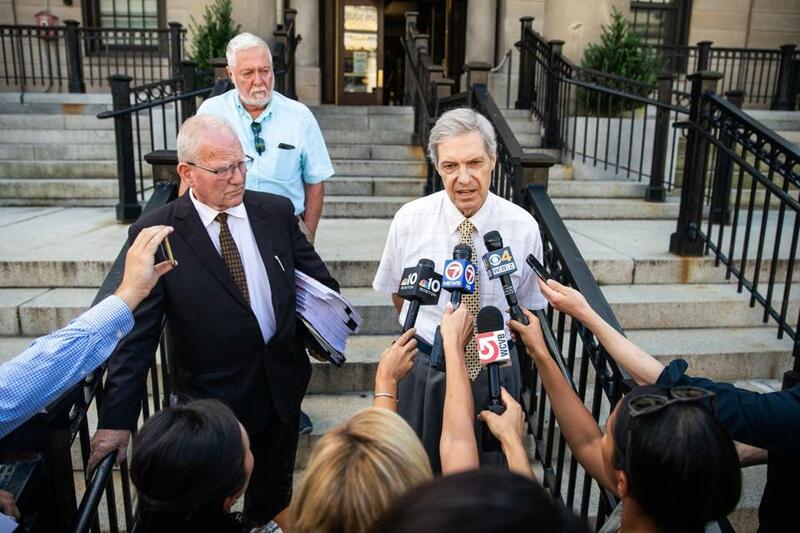 The details were contained in the prosecutors’ statement of the case against Dania Antoine-Guiteau, 52, of Wellesley, and Robert Berry, 65, of Needham. 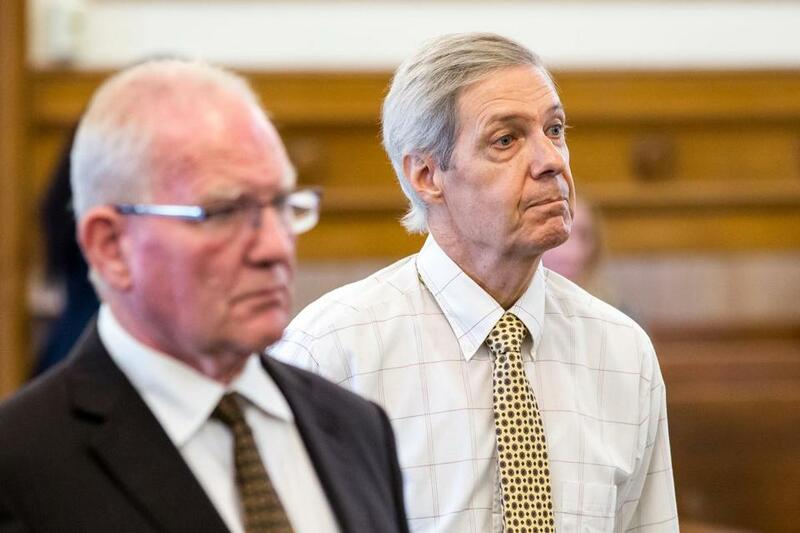 They both pleaded not guilty Wednesday in Norfolk Superior Court to negligent motor vehicle homicide and other counts in connection with the crash. 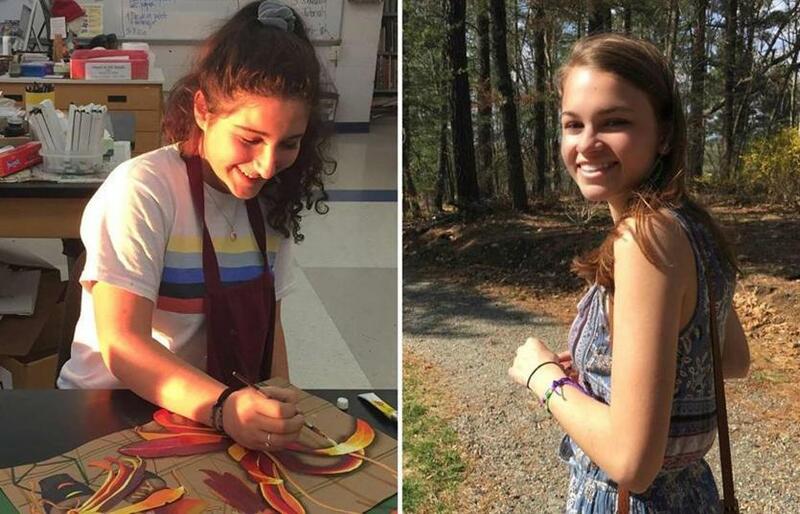 The defendants were driving separate cars during the crash that killed Talia Newfield, 16, and Adrienne Garrido, 17, both Needham High juniors, as they crossed a street near their school around 6:20 p.m. Feb. 10. 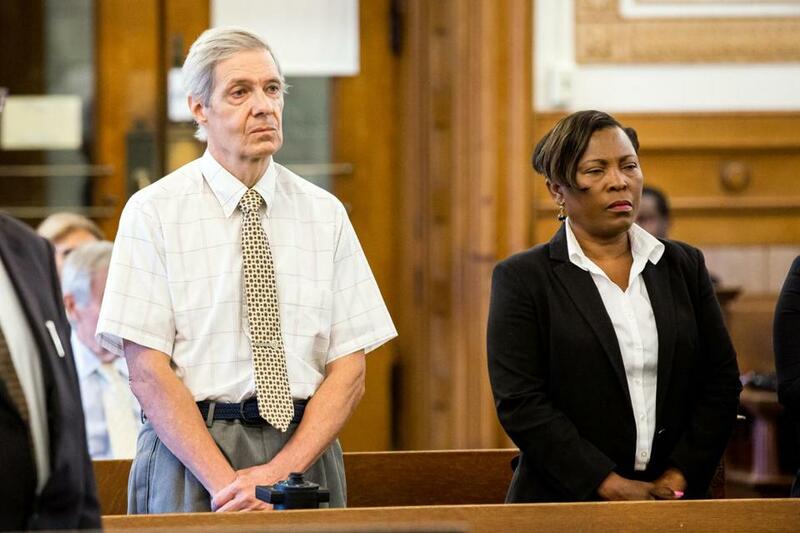 Robert Berry (left) and Dania Antoine-Guiteau (right) were arraigned at Norfolk Superior Court in Dedham. Berry initially struck both victims with his Cadillac as they were crossing Webster Street in a crosswalk, the statement of the case alleged. He claimed they were not in the crosswalk and were either running or walking fast, but roadway analysis and other evidence showed that account wasn’t true, prosecutors said. After Berry hit the two teens, Antoine-Guiteau allegedly swerved around Berry’s car and “identified an object in the roadway that she stated she thought was a bag of trash . . . and drove over Ms. Newfield without stopping and while revving her engine as she drove over” the girl’s body, prosecutors said. Prosecutors also said Antoine-Guiteau was “not wearing her corrective lenses as [she was] required to do” while driving. 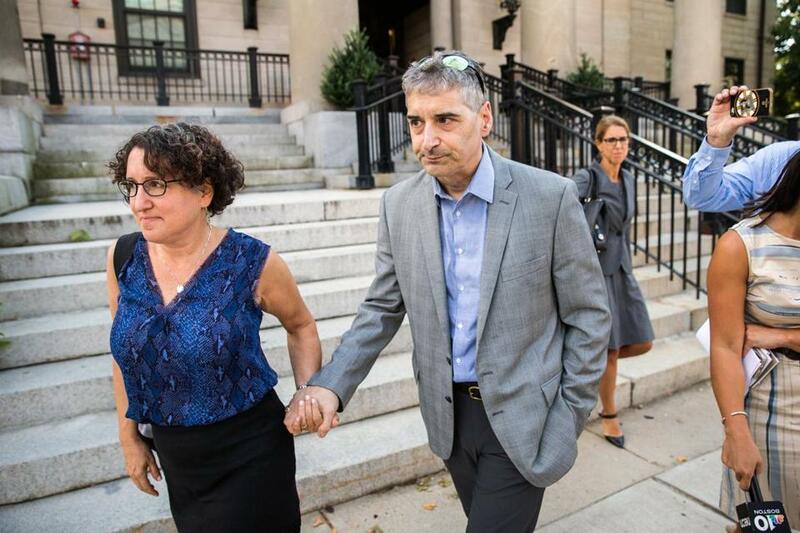 Talia Newfield’s parents, Lisa and Craig, left court. Berry and Antoine-Guiteau, neither of whom have prior criminal records, were both released on personal recognizance. Antoine-Guiteau left court surrounded by family and friends and declined to comment, as did her lawyer. A man who identified himself as a church friend of hers told reporters outside court that she’s a single mother of two and “a Christian” who feels badly about what happened. Asked whether he wanted to say anything to the girls’ families, Berry said, “I just said it,” before leaving with Reddington. Robert Berry (right) spoke to the press after his arraignment. Berry told police shortly after the crash that he had been driving to pick up a sandwich and never saw the girls before striking them, prosecutors said. “Mr. Berry stated that he did not believe that the victims were in the crosswalk when he struck them and suggested that they had been either running or walking fast across the street” during the crash, prosecutors said. But investigators determined that Berry struck both victims in a crosswalk and neither “was running into the path of the Cadillac,” prosecutors said. Berry was traveling at least 38 miles per hour in a 30-mile-per-hour zone when he struck the girls, they said. Eyewitnesses reported seeing Antoine-Guiteau drive around Berry’s vehicle and strike Newfield as she lay on the ground, prosecutors said. 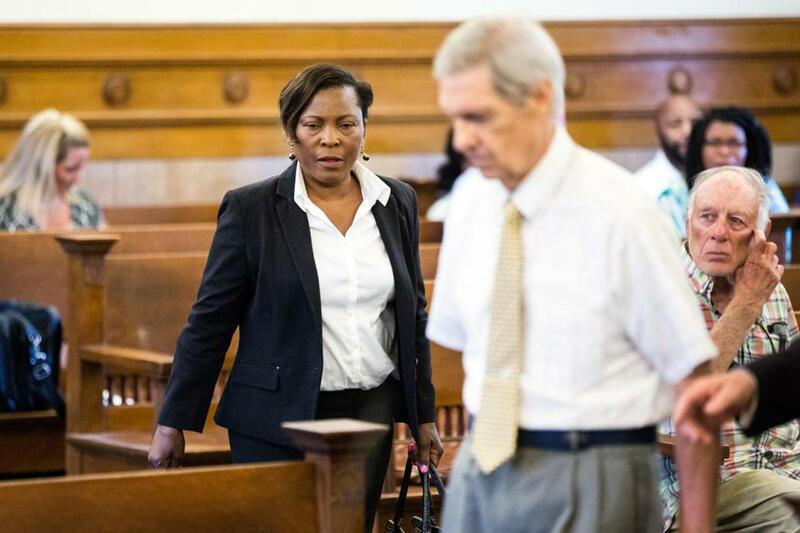 Antoine-Guiteau initially told police she didn’t see the first crash and told an officer at the scene that she had been heading to work, before telling a detective she was driving to church in Hyde Park, prosecutors said. Dania Antoine-Guiteau (center) at Norfolk Superior Court in Dedham. She also said she did not see Berry’s car until she pulled over and exited her vehicle, prosecutors said. “She further indicated upon being asked that she was not wearing glasses while driving” and didn’t have to, though records indicate her license requires her to wear corrective lenses, prosecutors said. In addition, Antoine-Guiteau “continued down Webster Street” after the crash for “several hundred feet before being signaled to stop” by teenage witnesses, prosecutors said. Family members of both victims attended the hearing Wednesday but, other than Craig Newfield, had no comment. At the time of the July indictments, Newfield’s family released a strongly worded statement on the deadly crash. Robert Berry at Norfolk Superior Court.